Take a look right above these words. Look at what day number it is. We really are winding down. What a long, strange trip it’s been. As a “Congratulations on finishing without dying,” my wife bought me a bottle of Woodford Reserve bourbon that came with two complimentary rocks glasses. 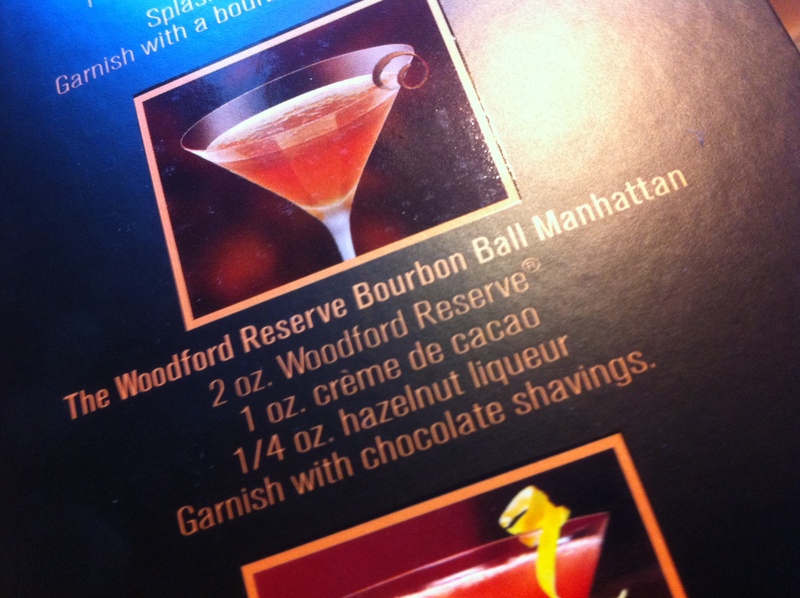 Of particular interest was the two Manhattan variations listed on the back of the gift box. For those uninitiated, Woodford Reserve is a pretty damn solid bourbon. Sweet and smooth, with just enough of a pleasant bite on the end to let you know you’re still drinking bourbon. I’m actually quite excited for this drink. Combine all of your ingredients in a cocktail shaker filled with crushed ice, shake well, and strain into a chilled martini glass. 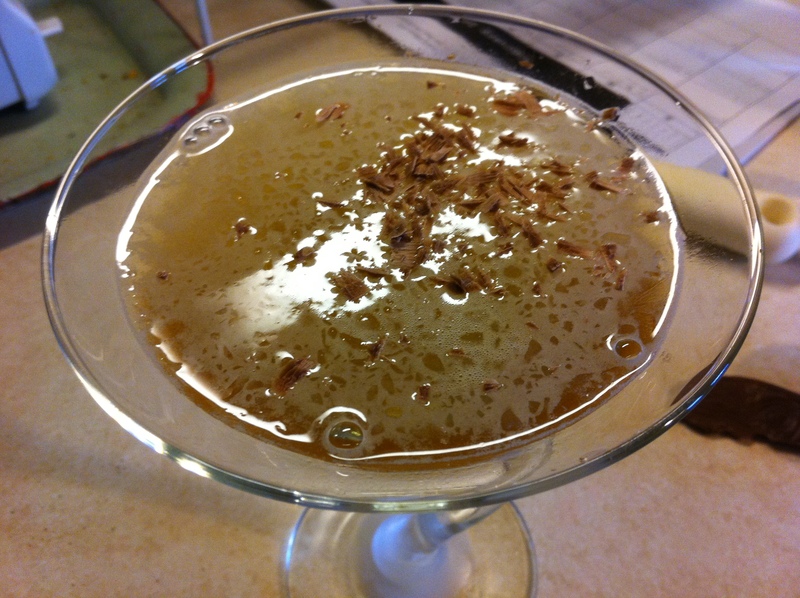 Garnish with chocolate shavings. Deliciously sweet. This is a manly desert drink. Powerful, but mellow with a pleasant nutty aftertaste. Dig it. Kind of looks murky but I believe you that it tastes fab. I myself am a bourbon drinker. I’m going to give it a try.